Many of our Live Chat customers prefer to use their mobile phones to chat with customers. If you're one of these people, you're in luck. We support 2 easy ways to chat right from your iPhone or Android phones. 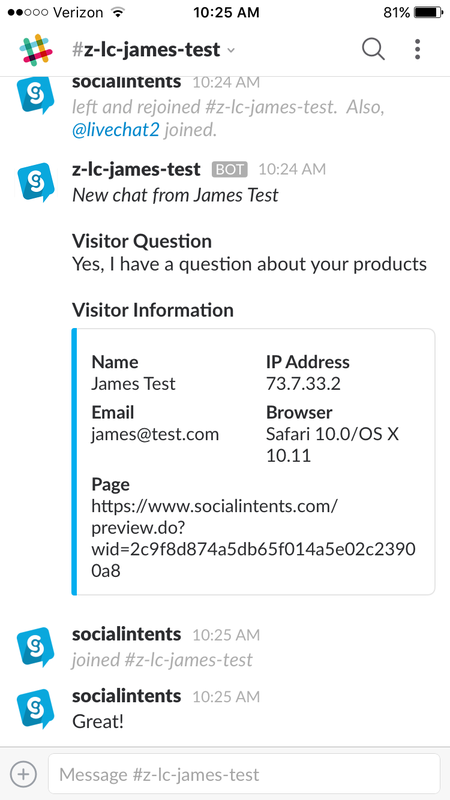 Our first option is to chat with website visitors right from Slack. 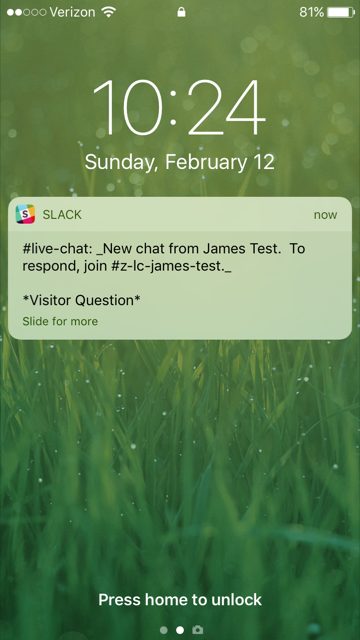 With our integration, you can download the Slack app for your mobile and chat right within the app using this best in class messaging service. For details on how to set this up, please read our Slack Integration Guide. 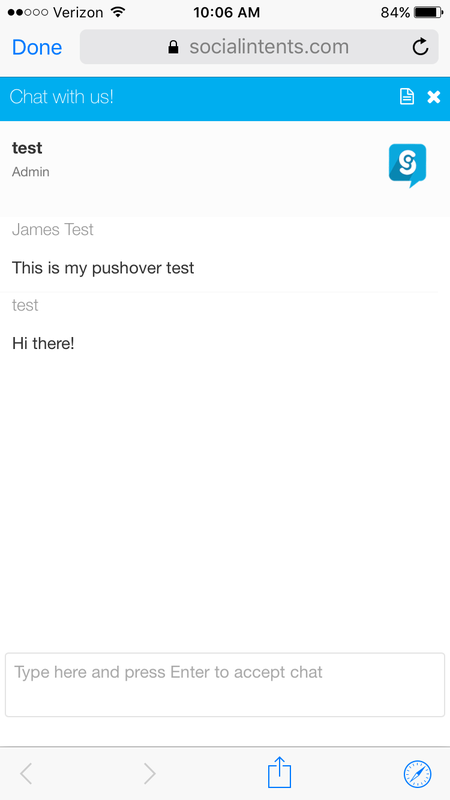 Our second option for mobile live chat is to use Pushover.net to receive real-time push notifications of live chat right on your phone. 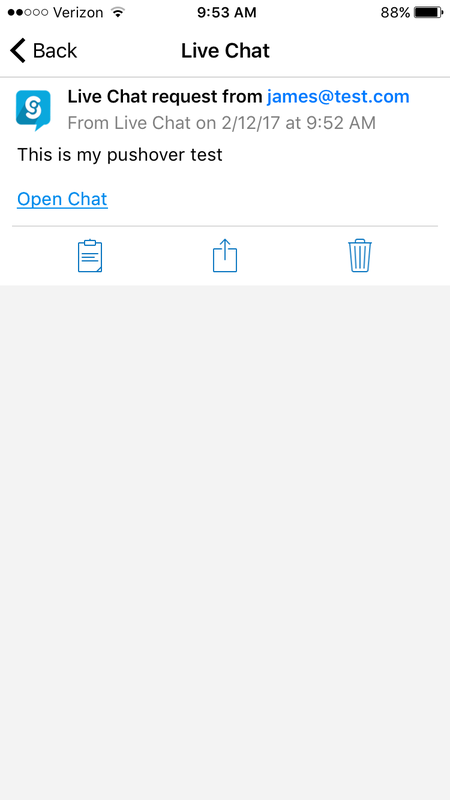 We send you the notification and a link to open a mobile view of the chat. You can then chat right from your phone using our mobile optimized site.